There are more styles of Aikido than I have space to mention, but here (from my research) are the majority and a little about each. Aikikai The original school of Aikido founded by Morihei Ueshiba O'Sensei in 1925. 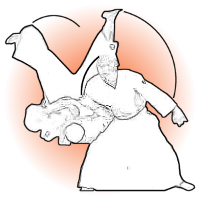 Emphasis is placed on large flowing movements, Randori / Multiple attackers and weapons applications. 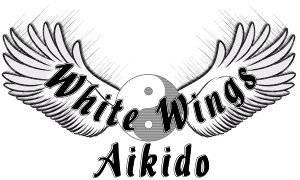 The largest aikido organisation, and is led by the family of the founder. 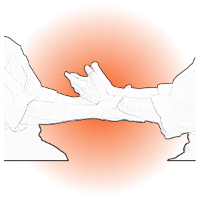 Numerous sub-organisations and teachers affiliate themselves with this umbrella organisation, which therefore encompasses a wide variety of aikido styles, training methods and technical differences. Prominent sub-organisations include numeral national Aikikai, as well as several US based including United States Aikido Federation (USAF) and Aikido Schools of Ueshiba (ASU). Ki-Aikido / Shi-Shin Toitsu / Ki Society Developed in the 1960's by Koichi Tohei. Emphasis is placed on excercises to develop Ki / Natural power. 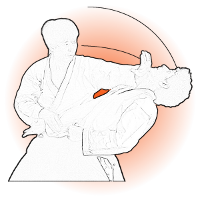 The Ki Society, founded by former head-instructor of the Hombu dojo 10th dan Koichi Tohei, emphasises very soft flowing techniques and has a special program for the development of ki. It also has a special system of ki-ranks alongside the traditional kyu and dan system. This style is called Shin Shin Toitsu Aikido (or Ki-Aikido). Yoshinkan Aikido Developed in the early 1950's by Gozo Shioda. Emphasis is placed on strong, dynamic movements, Randori and Goshin Waza / Practical applications. Founded by Gozo Shioda, this branch has a reputation for being the most rigidly precise. Students of Yoshinkan aikido practise basic movements as solo kata, and this style has been popular among the Japanese police. The international organisation associated with the Yoshinkan style of aikido is known as the Yoshinkai, and has active branches in many parts of the world. Yoseikan Budo Developed by Minoru Mochizuki. Emphasis is based combing all aspects of Budo / Fighting Arts. In particular Atemi / Striking vital points, Buki / Weapons plus elements of Judo and Karate. This form was developed by Minoru Mochizuki, who was an early student of O Sensei and also of Jigoro Kano at the Kodokan. This style includes elements of aiki-budo together with aspects of karate, judo and other arts. It is now carried on by his son, Hiroo Mochizuki, the creator of Yoseikan Budo. Iwama Ryu Aikido Developed in the early 1960's by Morihiro Saito. Emphasis is placed on following O'Sensei's style. Weapons Kata / Patterns and Awase / Blending techniques are practised equally. Iwama Ryu emphasises the relation between weapon techniques and barehand techniques, and a great deal of emphasis is placed on weapons training. Since the death of its founder Morihiro Saito, the Iwama style has been practiced by clubs within the Aikikai and an independent organisation headed by Hitohiro Saito. Saito sensei was a long time uchideshi of O Sensei, beginning in 1946 and staying with him through his death. Many consider that Saito sensei was the student who spent most time directly studying with O Sensei. Saito sensei said he was trying to preserve and teach the art exactly as the founder of aikido taught it to him. Technically, Iwama-ryu seems to resemble the aikido O Sensei was teaching in the early 50s mainly in the Iwama dojo. The technical repertoire is fairly large. Iwama Ryu Aikido, currently headed by Saito Hitohiro, is a separate organisation from the Aikikai. The Iwama Dojo is currently affiliated to the Aikikai and is not considered a separate style. Many instructors who were deeply influenced by Saito Morihiro consider themselves Iwama Style, however. Tomiki Aikido / Shudokan Developed by Kenji Tomiki. 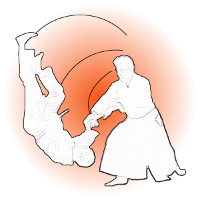 Differs from other styles as Tomiki Aikido is competitive. Kata / Patterns, Buki / Weapons and Kumite / competition make up the majority of Often called Tomiki aikido, after its founder, this style use sparring and rule based competition in training as opposed to most others. People tend to compete to train rather than to train to compete. Kenji Tomiki, an early student of O Sensei and also of Judo's Jigoro Kano, believed that introducing an element of competition would serve to sharpen and focus the practice since it was no longer tested in real combat. This latter view was the cause of a split with O Sensei's family who firmly believed that there was no place for competition in aikido training. Tomiki said that at no point did O Sensei actually cast him out.the syllabus. Daito Ryu Aiki-Ju-Jutsu The fore runner to traditional Aikido. Taught to O'Sensei by Sokaku Takeda. Emphasis is placed on strong effective application of technique. Yoshokai Yoshokai aikido, begun by then-hachidan Takashi Kushida-sensei of Yoshinkan aikido, is a remarkably centralised style of aikido, with test techniques yearly passed down with explanations from the home dojo. The syllabus contains a considerable amount of weapons study, and like Yoshinkan, Yoshokai includes many solo movements and exercises. Kokikai Kokikai aikido, founded by Shuji Maruyama in 1986, focuses on minimalist but effective technique. It emphasises natural stances and ukemi that do not require high breakfalls, and deemphasises atemi and techniques that cause pain or undue discomfort to uke. As such, it is considered by some to be a soft style of aikido. Seidokan Headed by Rod Kobayashi. Tends to utilise movements which are very small and economical. Encourages students to discover an aikido which is truly their own, stresses the importance of doing away with the extraneous and focusing on that which works. Tenshin Headed by Luis Santos. The style of Steven Seagal. It is considered a hard style of aikido, focussing on the practical side of aikido and using techniques that in real world situations would be effective and sometimes brutal. Though there are few dojos in the United States, the number is growing. Nihon Goshin Aikido Headed by Richard Bowe. 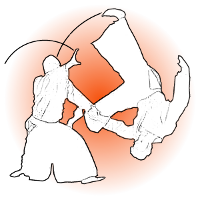 It is considered a hard style of aikido, combining techniques from Karate, Judo and Daito-Ryu Aikijutsu. There are roughly a dozen dojos in the United States and none left in Japan. Founded by Shoto Morita in Japan circa 1950. Derivative styles include Nihon Goshin Aikijutsu founded by Walter Kopitov in 2000. Tenchin Budo Kai Aikido Headed By Frank Ani Jr. 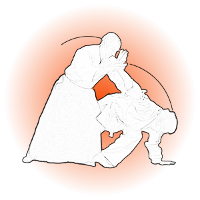 This is a hard style Aikido, combining the basics of Tenshin and general Aikikai styles together. It also includes techniques from Aikijujutsu making it a very practical and street effective version of Aikido. Only a few qualified instructors teach this style of Aikido. This style is an independent style with no affiliations.